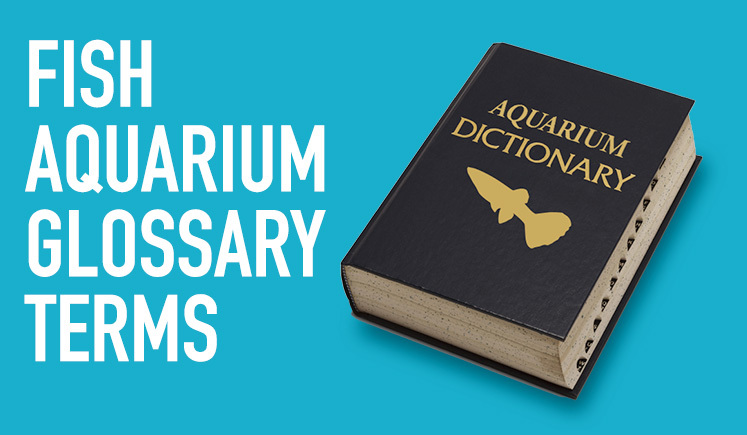 A list of fish aquarium glossary terms to help you understand our world better. 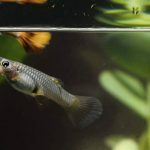 The aquarium hobby contains some words that can be confusing for those who just started out and who are experienced hobbyists. If you would like to contribute to our glossary list, please contact us. Acclimation — The process to introduce a fish or other organisms to a new environment change, usually after purchasing or transferring from one aquarium to another. Air Pump — A mechanical device that pushes air into the aquarium through a airline tubing into air stones or decorations to add oxygen to the aquarium water. Antibiotics — A type of medication used to treat or prevent bacterial infection. 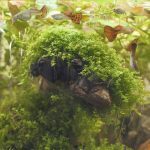 Aquascape — The design and craft of arranging the rocks, aquatic plants, cave work, driftwood, and rocks in an aquarium. Community Tank — An aquarium tank that contains more than one species of fish that are compatible with one another. 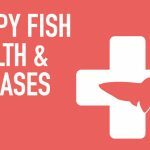 It may include a variety of fishes from different geographical regions that do not normally inhibit together but shares similar water parameter requirements. Filter — An aquarium equipment that uses mechanical, biological, or chemical methods to clean, circulate and purify the aquarium water. Herbivore — Animals that only feed on plant material. Ich — A freshwater fish disease that causes white spots on a fish’s skin. Internal Filter — A filter that is partially or fully submerged in the fish tank. Invertebrates — Animals without a backbone such as snails, shrimps, etc. Light Meter — An instrument used to measure the light intensity in the aquarium. 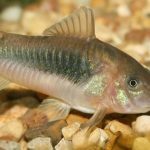 Livebearer — A fish that gives birth to a live fish instead of laying eggs, such as Guppies, Platies, Mollies and Swordtails. Omnivore — Animals that eats both animals and plants. pH — Measurement of how alkaline or acidic the water is. The measurement range is from 0 — 14. A pH reading that is greater than 7 indicates that the water is more alkaline. A pH reading that is less than 7 indicates that the water is more acidity. Plankton — Small organisms that float in fresh or saltwater and serves as food source for fish and other aquatic organisms. Quarantine Tank — An aquarium tank used to isolate a sick fish or a newly acquired fish from the established aquarium tank. 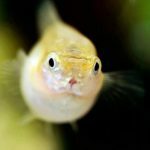 It is used for treatment or observation of the fish before they can be safely placed into the established aquarium tank. Siphon — A hose equipment used to help move water from one location to another, usually to help with water changes. It uses gravity and pressure to transfer water from the aquarium tank into a bucket placed at a lower level. Substrate — A material placed at the bottom of the aquarium tank such as gravel, sand, etc. 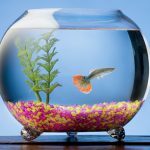 Water Change — The process of cleaning the aquarium water by removing the old dirty aquarium water and replacing it with new water. This process helps remove pollutants, leaving a healthy environment for the fishes.